This arrived in my mailbox today. Section 8 housing is nothing more than an attack on the successful. Tax dollars are taken from those who work and given to those who do not possess the values necessary to succeed and they are then transplanted into the neighborhood. When Section 8 housing arrives, crime, and middle class flight is not far behind. 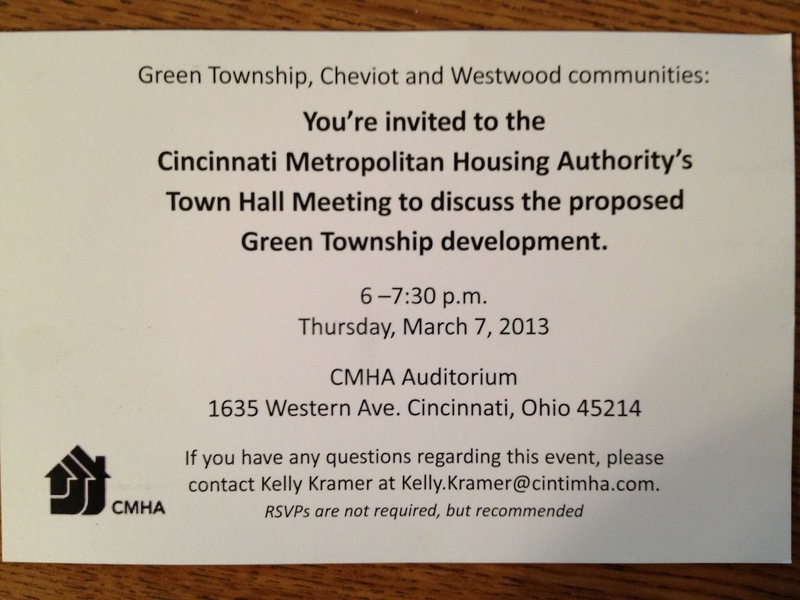 The really sad thing is, as in this instance, Green Township is overwhelmingly Republican, yet, with Section 8 housing, that will be slowly eroded. Our leadership is simply too stupid to grasp that simple fact. Our only hope is that the Sequester will drain funds from HUD and the CMHA.